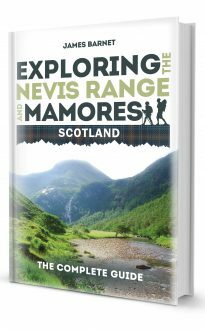 Intended to be the most comprehensive guide available for the hill walker exploring the Nevis and Mamore ranges around Fort William, Exploring The Nevis Range and Mamores, Scotland describes in detail the best and most rewarding routes across the area, ranging from peaceful strolls through scenic glens to ascents of the principal Munros (peaks over 3000ft) and Munro Tops. All the walks here have been tried and tested by the author, an experienced climber and outdoorsman as well as a professional geologist, and each is graded accorded to difficulty. Each route is described in detail and accompanied by a sketch map, an altitude profile and high-quality photographs to help the reader choose a route. There is also a wealth of valuable information about history, geology and mountain flora and fauna. Exploring The Nevis Range and Mamores, Scotland is the ideal introduction for the more experienced and adventurous mountain explorer who wishes to leave the tourist routes and seek the best of Highland beauty and solitude.